Architects and contractors alike use ASTM E1643 Standard Practice for Selection, Design, Installation, and Inspection of Water Vapor Retarders Used in Contact with Earth or Granular Fill Under Concrete Slabs. This practice is helpful in selecting and installing vapor retarders under slabs to prevent unwanted migration of water vapor through the building envelope. To further understand this standard and its role in building design and construction, we can break it down into four sections: selection, design, installation, and inspection. ASTM E1643 highlights several considerations for building designers and contractors when specifying and selecting an under-slab vapor retarder. These considerations are: reference to local building codes, the physical demands of the project (installation conditions, expected traffic, etc. ), and the permeance rating of the chosen material. ASTM E1745 Standard Specification for Plastic Water Vapor Retarders Used in Contact with Soil or Granular Fill under Concrete Slabs is referenced as an evaluation tool, classifying vapor retarder based on their tensile strength, puncture resistance, and permeance rating. 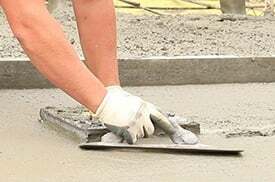 ASTM E1643 also contains Appendix X, a guide to factors that dictate the maximum permeance rating acceptable for a vapor retarder, as well as a reference to the American Concrete Institute Committee 302 Guide for Concrete Slabs that Receive Moisture-Sensitive Flooring Materials (ACI 302.2R-06) for design professionals so that they may consider all the factors that will determine the necessary permeance rating of the material specified. 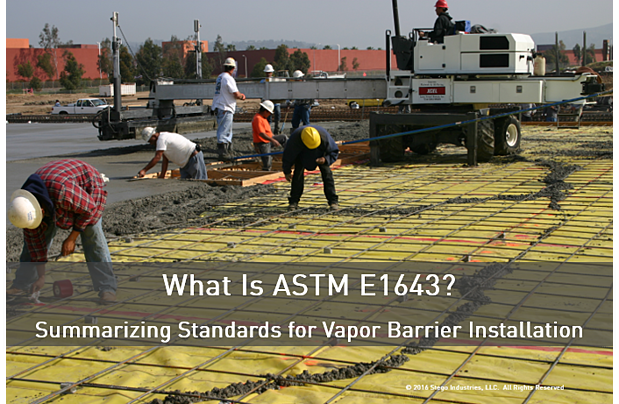 The intent of this section of ASTM E1643 is to ensure that specifiers chose a vapor retarder that has a permeance rating low enough to protect floor finishes and coatings from vapor accumulation and associated effects. ASTM E1643, by citing important material and construction considerations, assists the architect in identifying best practices for designing under-slab vapor proofing systems. In addition, Appendix X provides non-mandatory pre-design considerations to be used along with the selection criteria for design professionals described above. It should be noted, though, that these considerations affect more than just the vapor retarder (e.g. geotechnical survey) and should be carefully evaluated during the design process. The sixth practice is the newest to be added, and is often overlooked in the installation process. However, this is a critical step and should be followed to ensure that the vapor retarder is properly installed. Using a low-permeance, multi-layered tape that will mechanically seal the retarder directly to concrete slab can help ensure an efficient and effective installation. The final section described by ASTM E1643 is the inspection of the vapor proofing system, and it requires that any damage to the vapor retarder should be identified and repaired prior to placement of the slab. A careful understanding of ASTM E1643 is required when choosing and installing an effective under-slab vapor proofing system. Specifiers and installers alike can benefit from the considerations detailed in this standard practice. 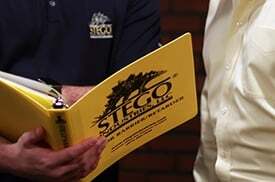 They can also rely on the expertise of Stego® Industries. We pride ourselves on our in-depth understanding of ASTM E1643, and would be happy to discuss it—and all related guides and specifications—as they relate to your unique projects. 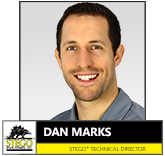 Dan Marks is the Technical Director at Stego Industries, LLC. 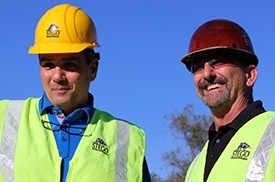 He has been a part of the Stego team for over eleven years and started out as the Southwest Regional Manager before transitioning to the Technical Department and his current role as its director. Dan has a direct role in the conceptualization, research, design, and testing of products. He also works closely with other departments to lend his technical expertise in training the sales team and building supportive relationships with suppliers and customers.